Matthew Helms began his training in Colorado on full scholarships at the Academy of Classical Ballet with Carla Parks, International Ballet School with Mark and Sandra Carlson and German Zamuel. Matthew competed in the 2008 Youth America Grand Prix and Denver Ballet Guild Competition where he received a full scholarship to The Ballet West Academy in Salt Lake City, Utah and Trainee in the Ballet West Company for 4 years. Matthew has been a guest artist and teacher with ballet companies and schools in Utah, California, Idaho, Tennessee, West Virginia and Colorado for the last 9 years has performed leading roles in ballets such as An American In Paris, The Nutcracker, Paquita, The Sleeping Beauty, Don Quixote, Le Corsaire, Giselle, Coppellia,La Sylphide,& Swan Lake. 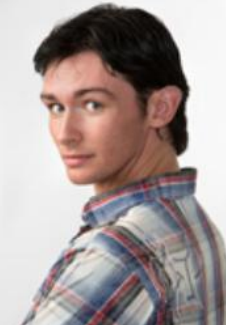 Matthew has trained with artistic Staff and Dancers from American Ballet Theatre, Ballet West, Joffrey Ballet, Ririe-Woodbury Dance Company, Cleo Parker Robinson Dance, Kirov Ballet, University of Utah and David Taylor Dance Theater and Orlando Ballet. Matthew has studied martial arts and has been acting since age 3, and has appeared in movies such as The Patriot(2000), The Black Knight(2001), Cabin Fever(2002) & commercials and TV shows as an actor and fight choreographer.